If you have radiating symptoms in your arms, hands, legs, or feet such as numbness, tingling, burning, or pins and needles, you could be suffering from a nerve impingement. It is very important that the root cause of the nerve impingement be discovered. For example, the sciatic nerve travels from the lower spine, all the way to the back of your legs, and even supplies the nerves to different parts of the feet. While you may experience symptoms in your legs or feet, the problem could be coming from higher up the nerve pathway. This is where EMG / NCS testing comes into play. With specific testing of the nerve impulse along the pathway, we can discover where the true impingement is, and then prescribe the correct treatment plan that will relieve the compression and improve the health of the affected area. What is an EMG/NCS Test? NCS stands for Nerve Conduction Studies and EMG for Electromyography. The test has two parts. Nerve conduction studies (NCS) are used to measure the health of your nerves. A mild impulse is administered to the skin directly overlying the nerve. The response is measured by the second set of electrodes applied to the surface of the skin. An electromyogram (EMG) measures the electrical activity of muscles at rest and during contraction. Nerves control the muscles in the body by electrical signals (impulses), and these impulses make the muscles react in specific ways. Nerve and muscle disorders cause the muscles to react in abnormal ways. 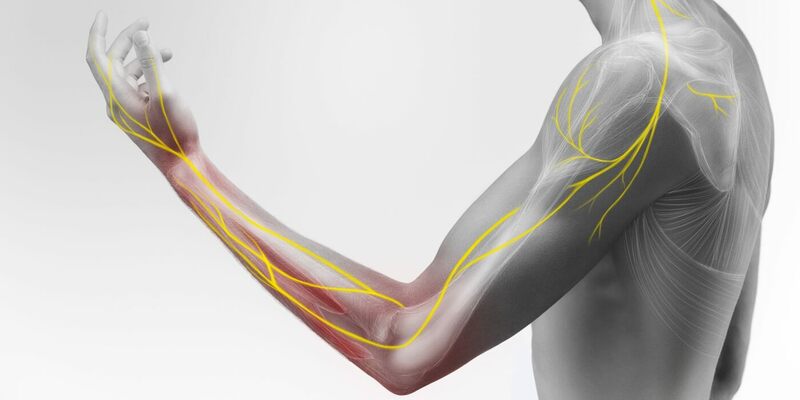 Measuring the electrical activity in muscles & nerves can help find diseases that damage muscle tissue (such as myopathy and muscular dystrophy) or nerves (such as amyotrophic lateral sclerosis or peripheral neuropathies). EMG and nerve conduction studies must be done together to give more complete information. If you answered ‘YES’ to any of the above, then you might be a candidate for EMG/NCS Testing and you can ask your doctor or Physical Therapist if this test is appropriate for you. I can’t wait for my PT treatments. Do not use any body or hand lotion for the day of the test. Let us know if you have a pacemaker or defibrillator. Make sure that you know the kind of medications you are taking. Let us know if you are taking aspirin. The results of the EMG/NCS testing can be very valuable for your Doctor & Physical Therapist to determine various conditions that can affect your nerves and muscles and to manage your care more effectively. Is EMG/NCS Testing right for you? Find out how EMG/NCS Testing can make a difference in your life! The team of professionals of Hands-On EMG Testing is here to answer any of your questions and to provide you with competent and accurate testing. Discuss with your Physical Therapist the benefits of testing. Contact Us Today at Lake Success, New York Center for more information.